Finished office area- painted drywall, carpeting, nice doors, casement windows. 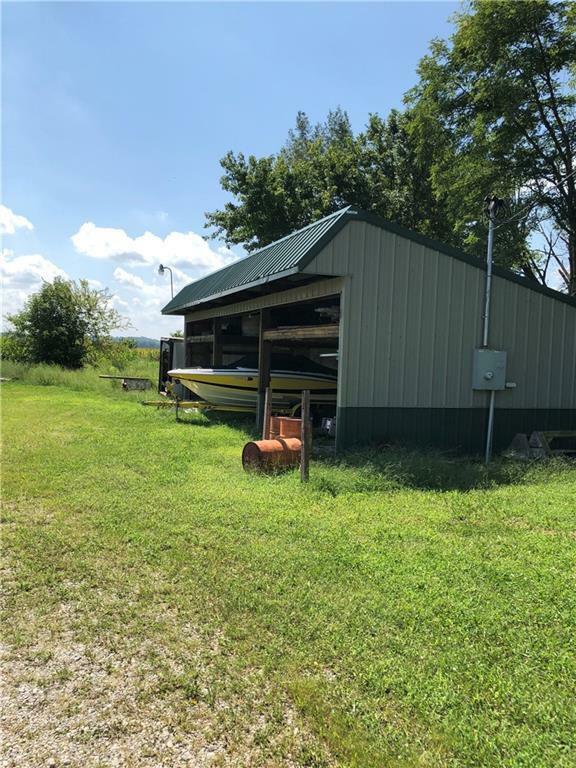 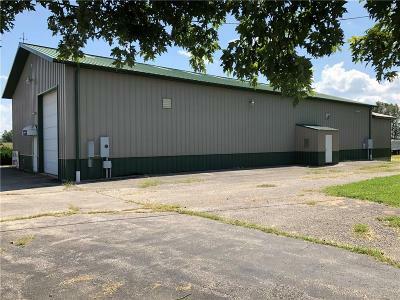 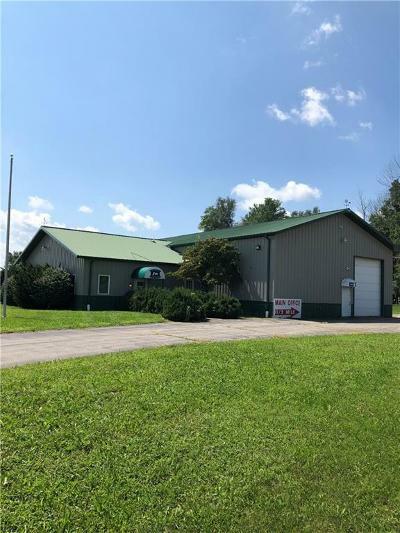 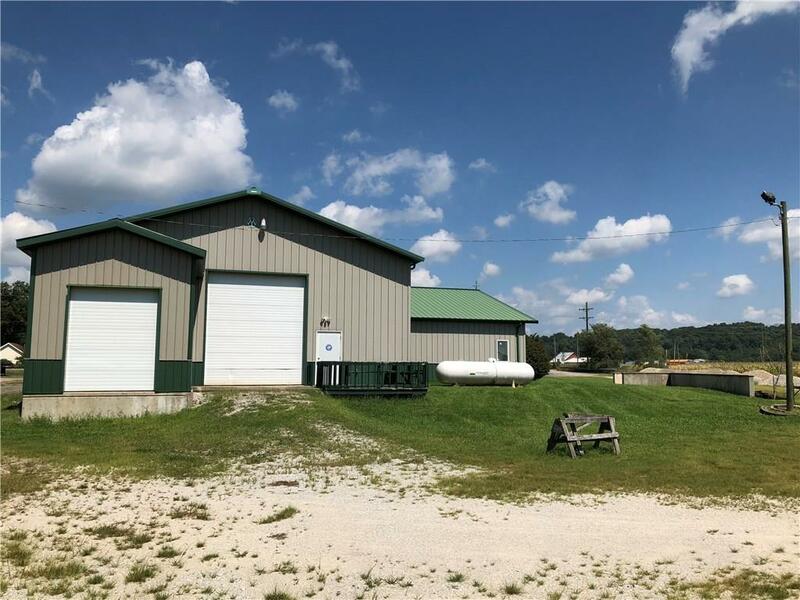 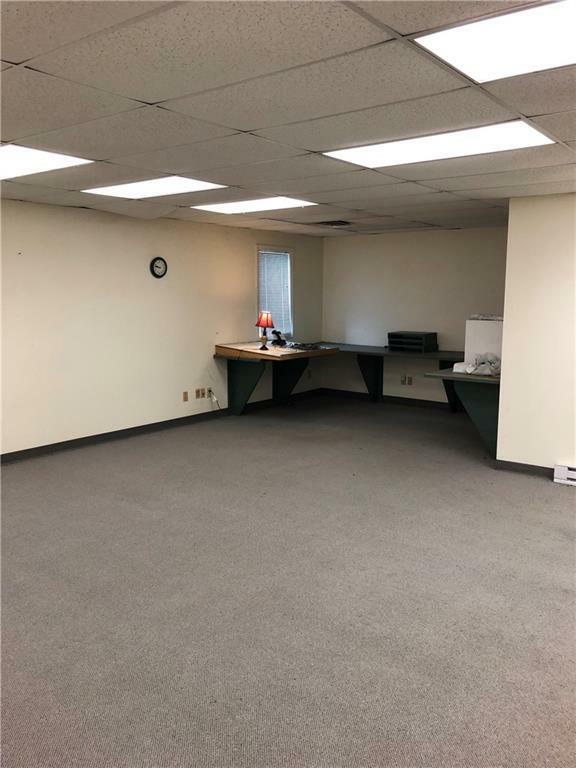 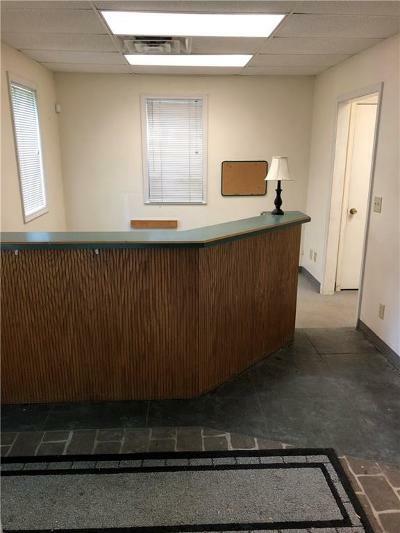 Contains a reception area, private office, conference room, large 96'x42' open work area with concrete floor, break room, 2 half bathrooms and a mechanical room. 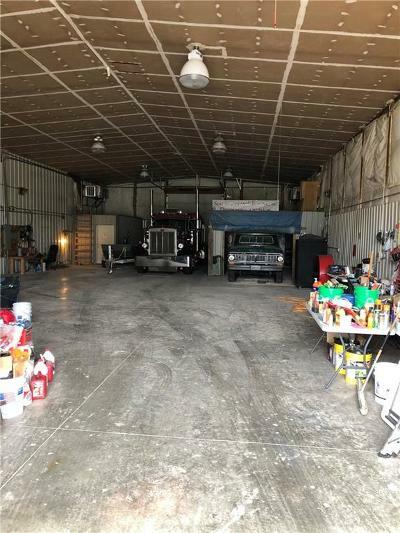 12,300 sq ft. Asphalt parking area. 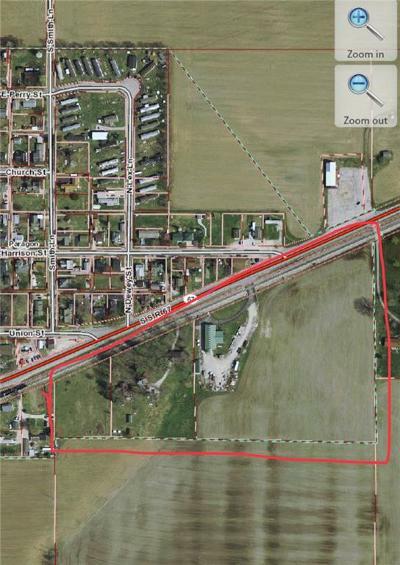 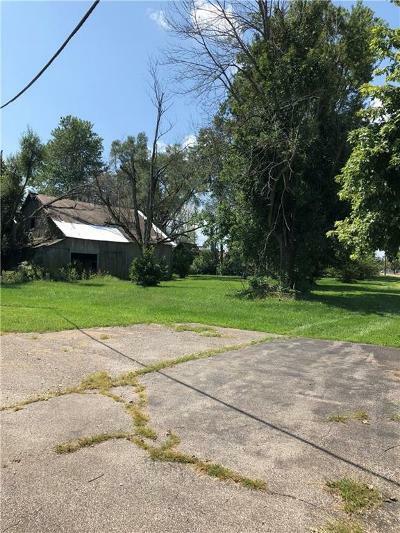 Come with 3 parcels of ground totaling in 17.5 acres. House on one parcel is unlivable and can only be used for storage or could be demolished. Property is in a flood plain.